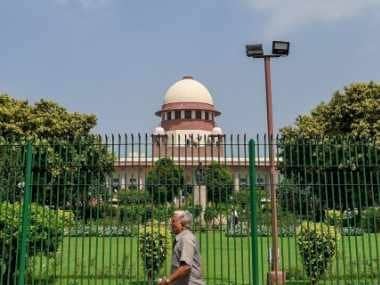 New Delhi: The Supreme Court on Thursday asked advocate Mathew Nedumpara to file written submissions adding that if required the court could grant him an oral hearing in the Sabarimala case. Mathew, who appeared before the apex court for National Ayyappa Devotees Association (NADA), has filed a plea for a rehearing in the Sabarimala case as devotees of Lord Ayyappa were not heard before. 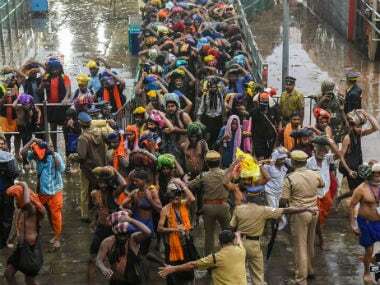 The Supreme Court on Wednesday reserved its judgment on a batch of review petitions over the entry of women into the Sabarimala temple, while the Travancore Temple Board (TTB) pledged to support entry of women of all ages into the Lord Ayyappa shrine. The Sabarimala Temple is under the control of the Travancore Devaswom Board (TDB). TDB counsel Rakesh Dwivedi said the board decided to honour the judgment and has appealed the Supreme Court to dismiss the review petitions. "The board has taken a conscious decision to support and respect the judgment of the Supreme Court and implement it. The board thinks that is right judgment in the right direction and it grants equality to women in the matters of worship," he told ANI. In November last year, TDB had moved the top court seeking an extension for implementation of the verdict which lifted the age-old ban on entry of women of menstruating age inside the hill shrine. Reacting on the TDB's current stand on the issue, Travancore Devaswom Board's former president Prayar Gopalakrishnan alleged that the decision of the board was 'influenced by a political party or their government'. "I was TDB president. At that time, there was no politics in official work but present Devaswom Board is acting as per the instruction of political parties or their government. Devaswom Board has repeated their U-turn style," he claimed. However, Travancore Devaswom Board's current president A Padmakumar outlined that its previous stand was based on the affidavit that the board filed before the verdict was announced, adding that it has already said that it will accept the verdict. "Court asked for Devaswom Board's opinion based on the verdict. Based on the 28 September verdict, we have already decided not to file a review petition. 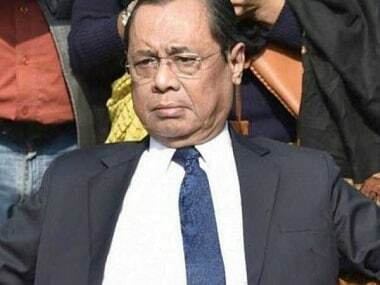 Devaswom accepts the SC verdict. We are of the opinion that there shouldn't be any discrimination. The previous stand was based on the affidavit the board has filed. After that, the verdict came. We already said that we will accept the verdict. That is exactly what we have informed the court now," he said. Padmakumar also refuted allegations of the board being influenced by the government and said, "The board doesn't take a stand based on the influence by the government. Let the court decide after listening to the options of various parties. If there is a fresh order which is contrary to the existing one, we are bound to implement that as well." Nearly four months after the top court permitted women of all ages to enter the temple on September 28, two women aged below 50 years entered the Lord Ayyappa shrine to offer prayers. Violent protests broke out all across the state, while a purification process took place in the temple following the entry of these two women - Bindu Amminni and Kanaka Durga. On 4 February, Kerala Devaswom Minister Kadakampally Surendran had informed the State Assembly that the government had confirmation about only two women in the age group of 10 to 50 years having offered prayers at the Sabarimala temple.